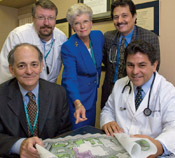 Beebe Healthcare is the principal hospital presence in Sussex County, Delaware. Encompassing southern Delaware's 950 square miles, Sussex County is among the fastest-growing in the United States according to U.S. Census figures. The estimated population in 2004 was 172,216, an increase of 10% from the 2000 census. Overall, the population increased 38% during the 1990s. High population increases are expected to continue until well into the 2020s. Many factors about the Beebe service area, including its scenic beauty, lower cost of living, and casual living pace make it a highly desirable relocation destination from major East Coast population centers like Philadelphia, Baltimore, Washington, and Wilmington. With the volume and array of services required to fulfill the needs of this growing and diverse population, there is also a considerable migration of professionals and service workers with young families to this beach resort area. The result of our desirable location has been a rapid influx of affluent retirees, many of whom had previously fallen in love with this safe, family-oriented area during summer vacations. More growth is projected. As Newsweek put it: "The retirement-age population of Delaware is expected to increase by 75 percent in the next 25 years, (bringing) more retirement communities and resort developments. . . . With average temperatures of 68 in the summer and 41 in the winter, Delaware affords a comfortable option for everyone." 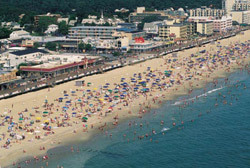 Needless to say, plenty of summer vacationers come to spend a weekend, a week, a month, or a season at the area's numerous shore communities. The beaches are spectacular and not nearly as crowded as those in neighboring states. The summer population provides a valued revenue source and supports a cultural richness—restaurants, nightclubs, concerts, and other activities—well beyond expectations. Southern Delaware enjoys an unusually strong continuation of visitor traffic even during the "off season." Visitors take advantage of tax-free shopping at the numerous outlet malls, spend time on the boardwalks and walking the beaches, and visit the abundant array of scenic nature parks and historic attractions. Sussex County has five state parks, including the extraordinary Henlopen State Park that extends for mile after pristine mile down the Atlantic shoreline, and Primehook National Wildlife Refuge. A high quality of life, offering something for everyone, is available in this paradise for biking, hiking, and water sports. The native population of Delaware is mainly agricultural and small-business oriented. Most Delaware natives reside further inland, where real estate is far less costly. Nevertheless, the combination of homegrown Delawareans, affluent retirees, frequent visitors, and professionals moving into the area creates an interesting, pleasant, homogeneous diversity. The population trends all lead to a strong, stable, thriving local economy. Signs of prosperity abound in the explosion of new home development, particularly along the main north–south Coastal Highway that parallels the Delaware Bay. All of these population growth trends combine to create a challenging need for ever-expanding healthcare services. Beebe Healthcare is providing the leadership to meet those needs through an ongoing expansion program that enjoys enthusiastic and heart-felt support from its service community.